A Backwards Lens? How Does That Work? A conventional, non-macro lens, used the right way around, is designed to project a small, focused image of a large, distant object a short distance onto the sensor or film in a camera. As the lens to subject distance decreases, the image gets bigger and bigger. At a certain point, the subject is too close to focus properly. With subjects that are very close, reversing the lens so that the rear element is now facing the subject and the front element is pointing into the camera will project a large, magnified image of a small object on the film or sensor. It might sound or seem complicated, but it’s not. In any case, it’s more important to know that this technique works than to understand the optics behind exactly how or why it does. For a DSLR or a mirrorless camera, lenses with focal lengths of 50mm or less can be reversed for macro use; the shorter the focal length, the greater the magnification. The lens is screwed onto the threaded end of the adapter. You can also thread the adapter onto the lens first, and mount the two together onto the camera body as you would any other lens. To get started on your backwards adventures, you will need a reverse mounting ring for your camera’s mounting system. This adapter ring has a male lens mount on one side and a male filter thread on the other. The mount side bayonets into the camera body. The reversed lens screws onto the other end by means of the filter thread. A step up or step down ring will correct for any mismatch there might be between the thread diameter of the reverse adapter and the lens being reversed. 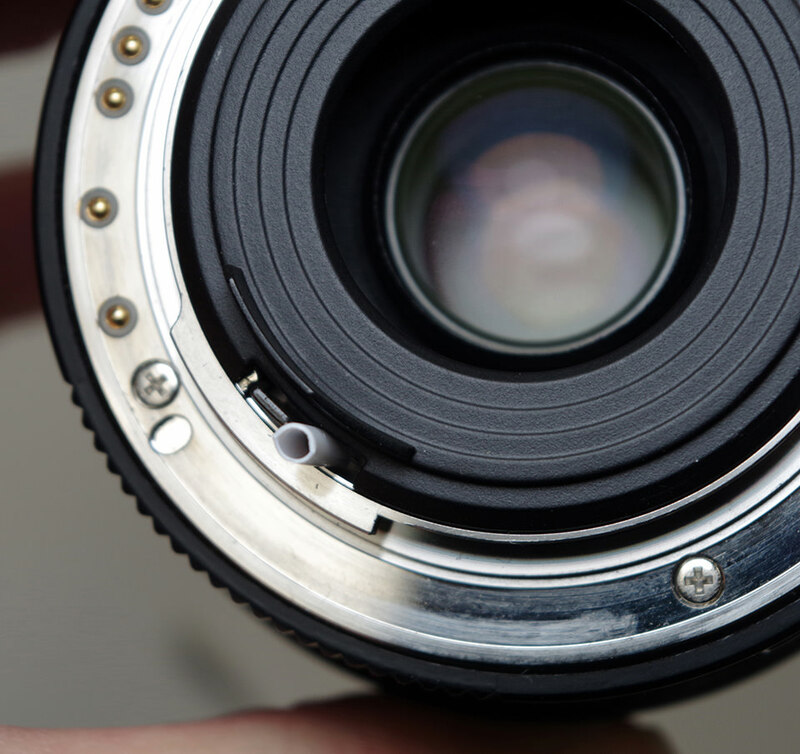 Be aware that the rear element, and whatever mechanical and electronic contacts the lens has, are going to be exposed to potential bangs, bumps, and scrapes. A rear lens cap, with the bottom drilled out, attached to the mount, will give some protection to these vulnerable, delicate parts, and also act as a lens hood. Backwards and Ready for Tiny Action. Because you’re using the filter threads rather than the mount to attach it to the adapter, you don’t need a lens dedicated to your camera system. This means you have a very wide choice of optics available to you. You might already have something in your gear collection that will work. Any prime or zoom lens in the wide to normal range might be a candidate for reversal. You can experiment with some quick free-lensing: hold the reversed lens up to the body opening of your camera and look at a convenient target. You will be getting very close to this target, so be careful that you do not run into it. If it’s a zoom lens, try different focal lengths and see how that effects magnification and perspective. Check for vignetting, the darkening of an image towards the corners of the frame. 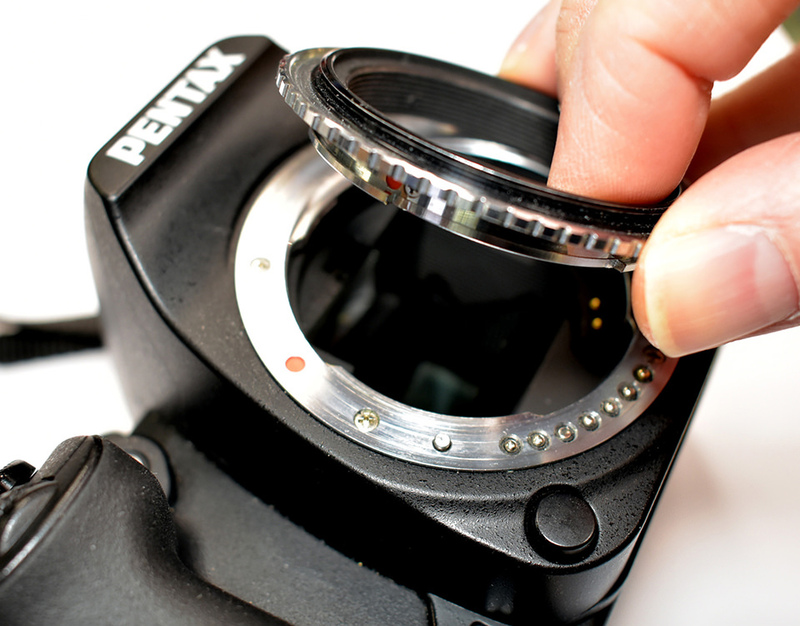 You want the image circle of the lens to fill your sensor. If it doesn’t you might need to add an extension tube between the camera body and the reversed lens. Some reverse mount adapters retain electronic connection between the camera and a reversed lens for the same camera brand. 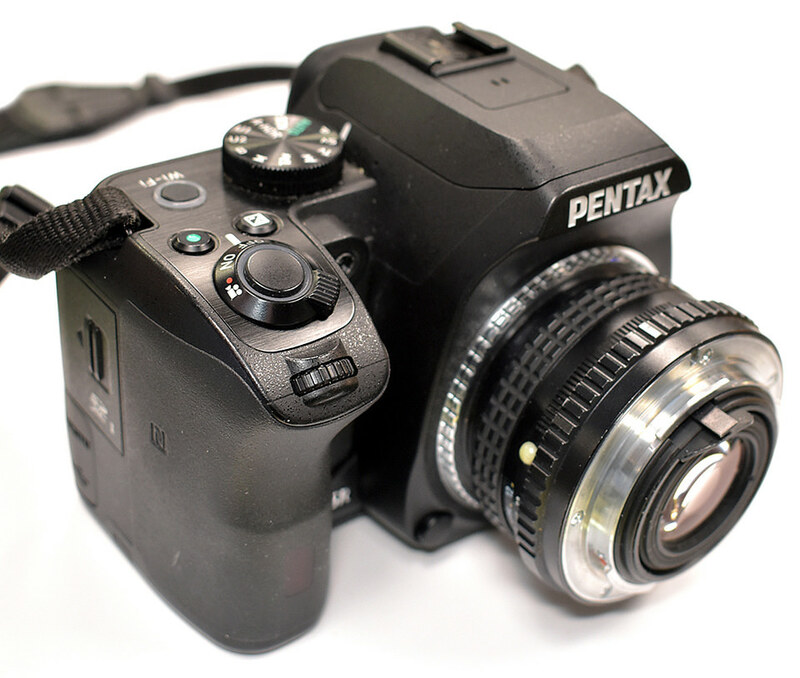 (Adapters that enable this connection, maintaining aperture control and autofocus, are available for Canon EOS DSLRs, but these are the exception rather than the rule. The rest of this article will be dealing with lenses and cameras that are no longer on speaking terms, not exchanging information.) 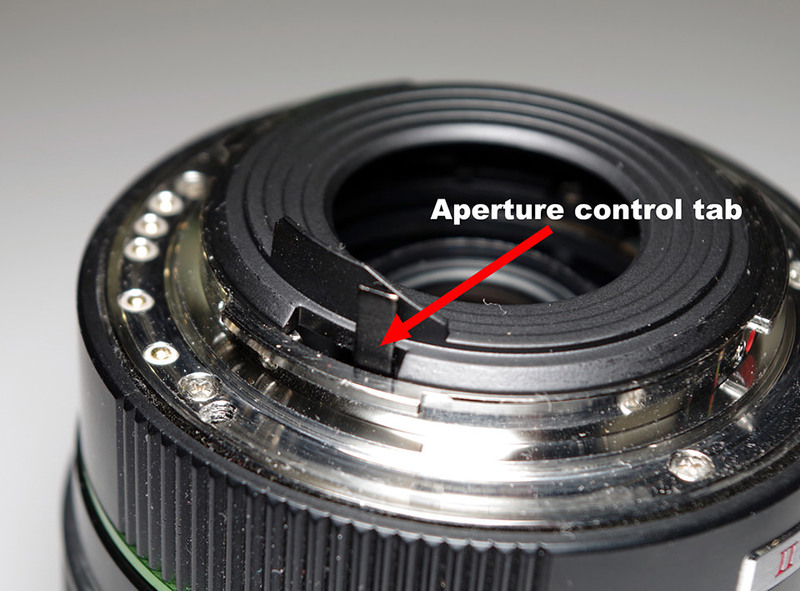 Without any control from the camera body, you will have to be able to control the aperture on the lens itself. This usually means using a lens with an aperture ring. Manual focus lenses are great for this, but many autofocus lenses, particularly older ones, sport aperture rings too. While lenses that retain an actual aperture ring are more convenient, lenses that lack this feature can still be adjusted so long as they have an aperture control tab. This tab is the mechanical connection between the lens diaphragm and the camera’s aperture control mechanism. 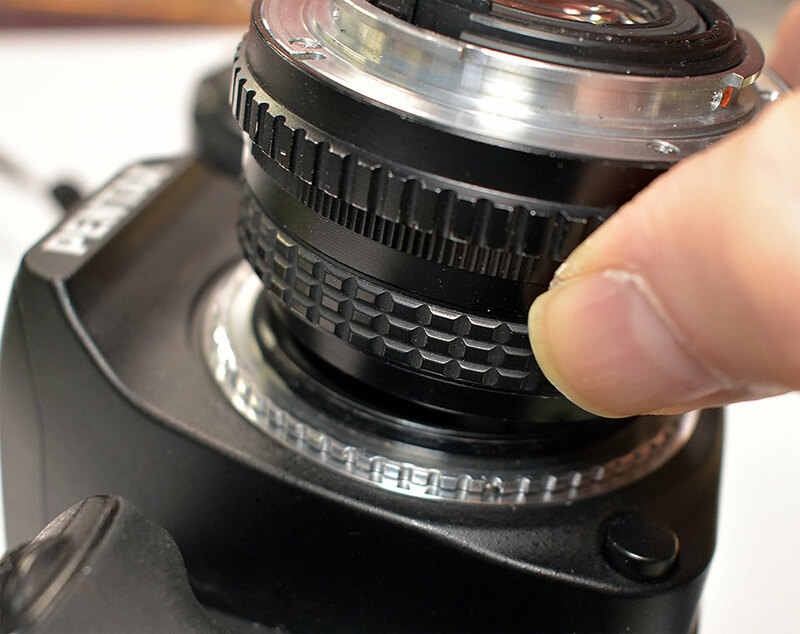 Moving the tab back and forth with your finger should open and close the aperture diaphragm. These tabs are often spring loaded so that left alone the aperture is fixed at the minimum setting. By carefully inserting something to wedge the tab in place, like a section of cotton swab tubing as used here, the aperture can be kept open. Though not as precise or repeatable as an actual aperture ring, this does allow a bit more flexibility in exposure settings than if you leave the aperture stopped down. Either will work. Prime lenses, (fixed focal length, non-zoom lenses) are likely to offer better image quality, but a zoom will give you a range of magnifications instead of just one. The additional flexibility comes in handy if you want to shoot subjects that are a variety of sizes. Zooming from a short focal length to a longer one will let you get more in the picture, which is the reverse of zoom functionality compared to normal usage. You can turn your digital camera’s 18-55 kit lens into a super-macro zoom that will give you almost four times life-size at its highest magnification. Old film camera kit zooms in the 28-80, 35-70 range are also well worth trying. With primes faster lenses are not necessarily better for reverse use. A 50mm f/1.7, f/1.8 or f/2 lens can give better results than an f/1.4. Reversed DSLR 18-55mm kit zoom; taken at 18mm. You probably already have one of these lenses. Why not give it a try? Reversed DSLR 18-55mm kit zoom; taken at 18mm. Reversed DSLR 18-55mm kit zoom; taken at 45mm. 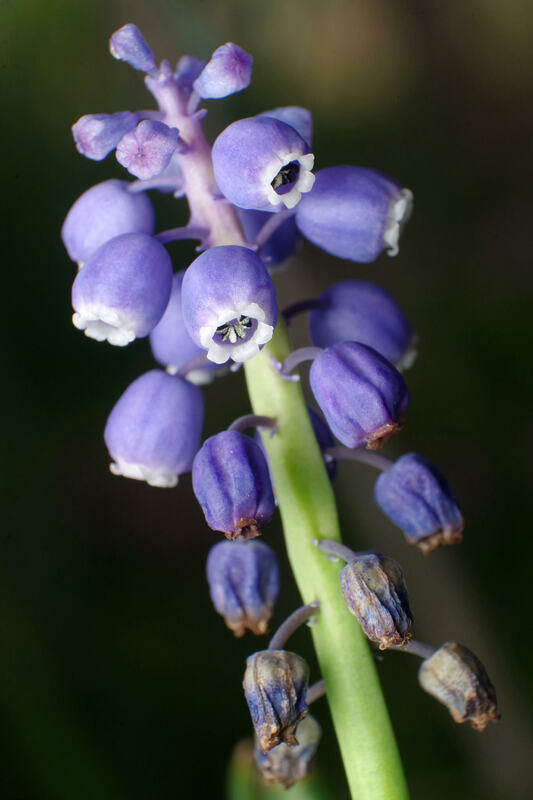 The same flower as above, but at a lower magnification to show more of the subject. Because this configuration works only at very close distances, you will lose infinity focus. 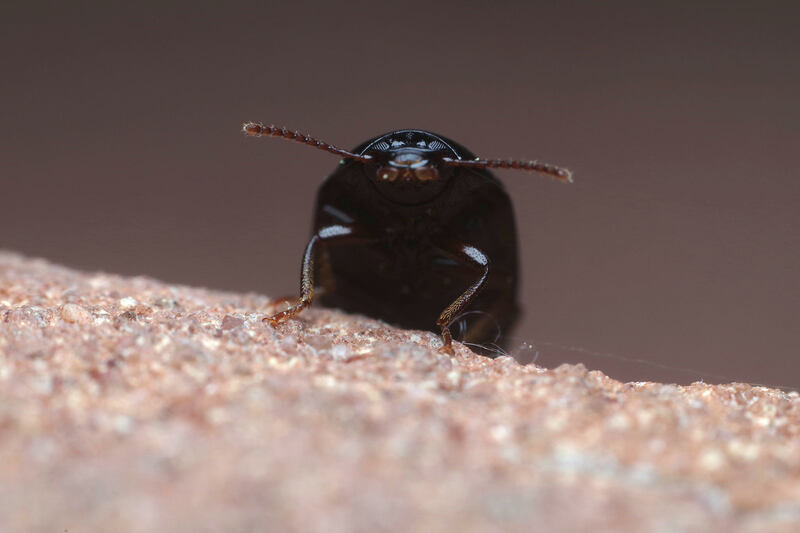 When I shoot macro, I’m usually shooting macro only, so losing the ability to photograph something at “normal” distances at short notice is not really a hardship. But that’s just me; your needs might be different. Unless you have a reverse adapter system that maintains communication with your camera, such as the above mentioned ones for Canon EOS cameras, you can say goodbye to autofocus, in-body aperture control, and EXIF data regarding aperture and focal length. You will also lose automatic diaphragm; you might be using a 50mm f/2 lens, but once reversed, if it is set at f/8, you will be focusing, and composing at f/8. This translates into a much darker optical viewfinder. In good lighting, using live view will compensate for this increased darkness. The higher magnification that reversed, short focal length lenses offer means less depth of field. 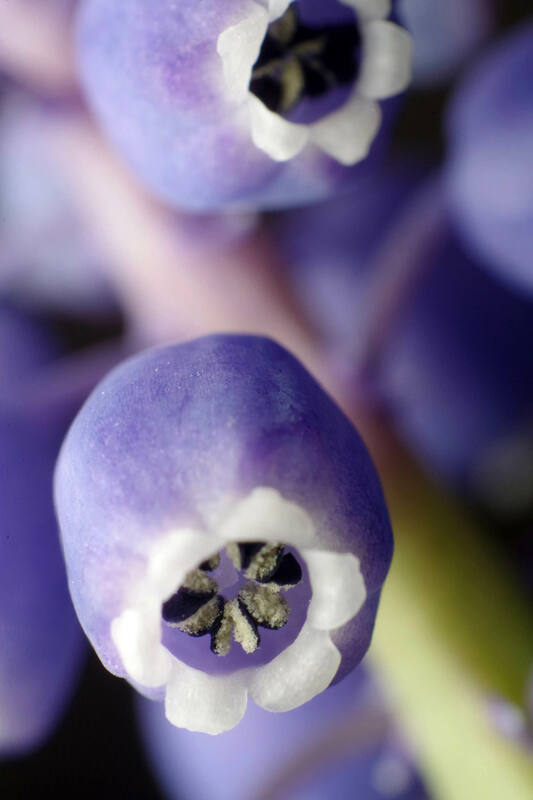 Focus peaking in live view will let you place this shallow plane of focus more precisely. Manual focus is commonly used in macro shooting, but rather than turning the focus ring on the lens, focus is achieved by moving the whole camera and lens assembly backwards and forwards. Be careful you don’t collide with your subject, which will be very close. Loss of working distance also comes as part of the package with higher magnification. Working distance is the actual space between your subject and the front element of the lens. It is always shorter than focusing distance, which is measured to the sensor or film plane inside the camera. Reduced working distance means space for lighting will be reduced, assuming your looming optics have not already scared away your prospective subject. You will probably lose some, if not all, automated flash functions too, so a flash with manual power adjustment will likely be required. With such a long list of things you lose with this technique; what do you get in return? What’s in it for you and your images? If you’re willing to put up with the inconveniences of using a reversed lens you get spectacular results. If you can take advantage of lenses that you already have (or can get on the cheap), that’s even better. Reverse lens macro is not for everybody or every subject, but it does give you another way of doing things, another tool in your bag of tricks. Taken with an unremarkable 35-80 film camera autofocus kit zoom, reversed, at 35mm. I didn’t know these creatures even existed until I took this photo. 100% crop of above image. 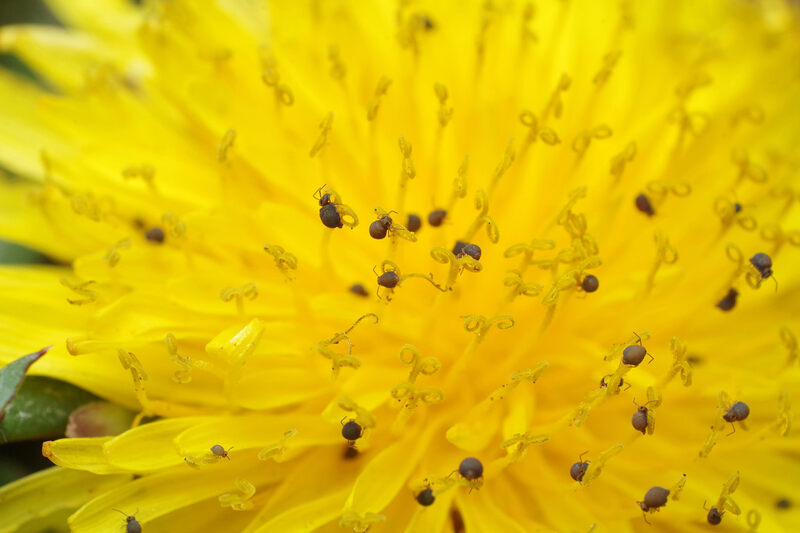 With macro, the closer you get, the more there is to see. Not bad for a lens I salvaged from a junked film camera. You can’t get cheaper than free! Reverse lens macro techniques allow use of a huge range of lenses for play and experimentation. Reversed lenses can also be used in combination with other accessories and other lenses to create an adaptable, flexible macro kit. Inserting extension tubes, bellows, or teleconverters between the camera body and reversed lens gives you even more magnification should you need or want it. 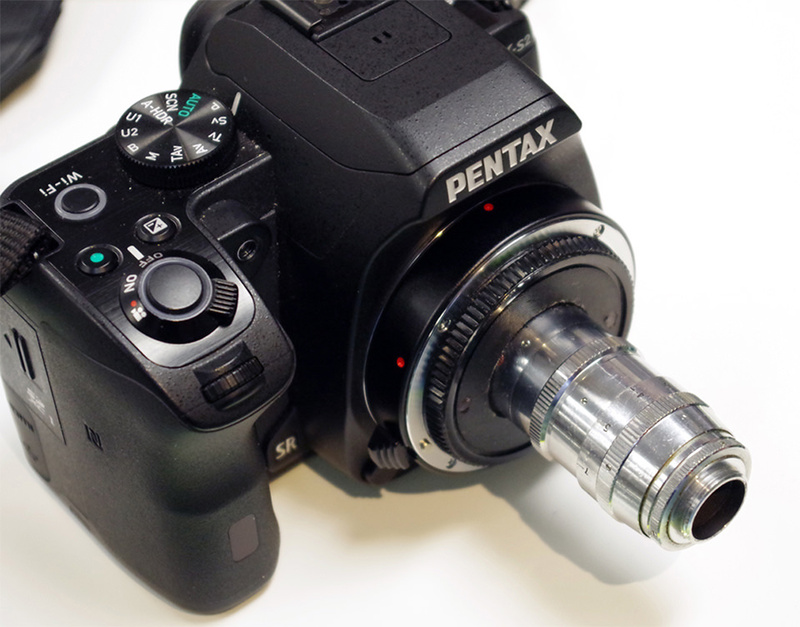 The reverse mount adapter is mounted on the tube, teleconverter, or bellows unit, rather than the camera body. Teleconverters can vary in quality. If you decide to use one, do some tests to make sure that you are getting better results than simply cropping an image obtained without it. If it doesn’t give you a better picture with more detail visible, it probably isn’t worth using. Beware that any of these additions will eat even more light, and that bellows will usually require a tripod. This is a Kinotel 1-1/2″ f/1.9 lens for 8mm movie cameras. Tiny lens, big results. I’ve had a great deal of fun and success using a reversed cine lens originally intended for an 8mm movie camera. A body cap with a suitable hole drilled to accept what had been the front of the lens is my means of mounting it to my DSLR. I usually use this lens on extension tubes for greater magnification. It’s a challenge to use, but I get results that would be otherwise unobtainable. Its small diameter lets me get it into narrower spaces that would preclude the use of a larger lens. The slimmer profile also allows more space to get light to the subject. It’s also possible that insect subjects may feel less threatened by its diminutive size. Enlarger lenses reversed on extension tubes are also excellent performers for macro use, and are now commonly used for exactly that. Both 8mm and 16mm cine lenses, as well as enlarger lenses, are not as commonly used for their original purposes. 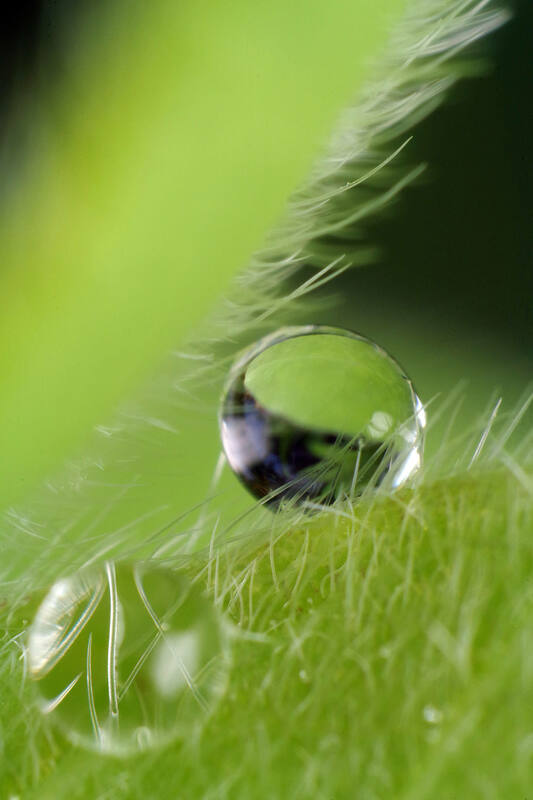 You might come across a lucky bargain at a yard sale or thrift shop that you can return to service as a macro lens. 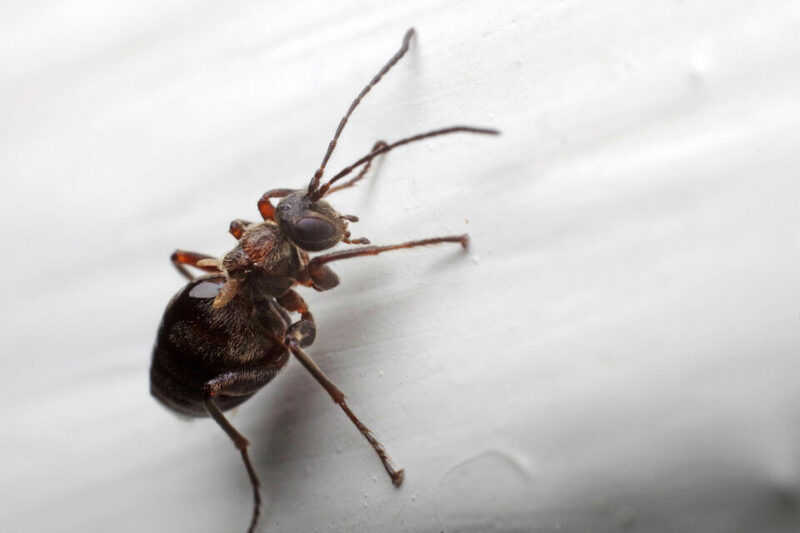 This insect is about 3mm long. The little Kinotel movie lens offers impressive performance. Not bad for a lens from an obsolete movie camera. This one cost me $5. With all the above noted cautions and caveats, and others I’ve likely missed, it might sound like turning lenses around might be terribly inconvenient and limiting. Sometimes it is; but it’s worth it. 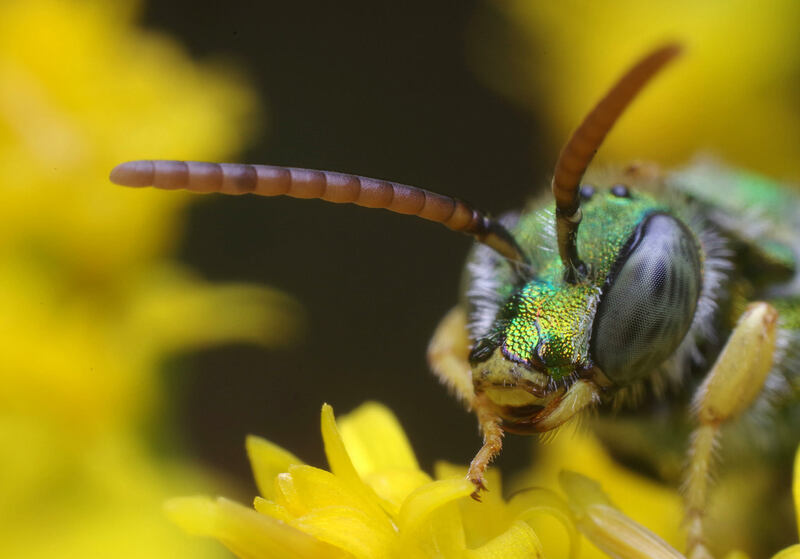 Though not as simple, straightforward, or user friendly as using actual purpose-built, honest-to-goodness macro lenses, reverse lens macro techniques take me places my macro lenses can’t get to. I get to capture images that I would miss out on without them, using lenses that, in some cases, were free or cost me next to nothing. How cool is that? You might be tempted to try reversed lenses because they’ll save you money; but you’ll come back to them because they’re fun. This article was submitted by Bruce Douglas Woollatt. If you would like to see more of Bruce’s work, please check out his Flickr page. Absolutely mind-blowing, as someone who is permanently on a budget I might really look into this, considering that kit lens zooms are dirt cheap, to say the least and while there are many caveats to account for, it really looks to be worth it for the fun factor alone. Thank you for this piece, one can’t really get more informative and useful than this, much appreciated! Thank you. Yes, the fun factor is important to me, too. Glad you enjoyed it. Really interesting article. Does anybody have any experience and advice on using macro photography (and some of the methods in this article) to copy slides and negatives? Great article. Nicely illustrated. 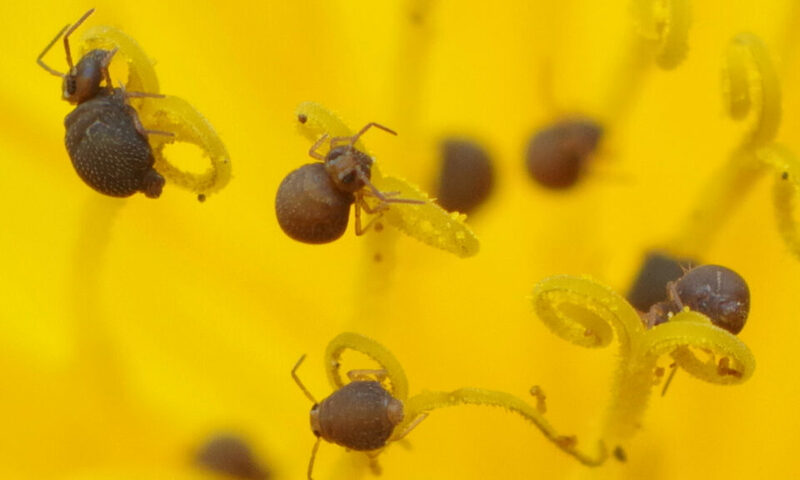 This is how I started my experiments in macro photography. I still have that reversing ringed stashed away somewhere. Need to dig it out and give it a whirl again, just for fun.